Jan Dale’s Southern Style program will be presenting old time music band Foghorn Sting Band and Old Man Luedecke on her radio show Southern Style on 12th November from 1:00pm. As always, the programme will be webcast live and archived on the PBS FM website. 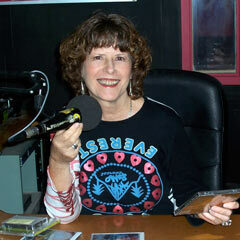 Southern Style with Jan Dale – PBS FM 106. Tuesdays 1:00pm to 3:00pm or online at www.pbsfm.org.au.